This unique necklace is made of 18K yellow and white gold with diamonds placed around and in the centre of the jewellery. It is one of those pieces of jewellery that is both unique and sophisticated, making it easy to wear everyday but still make a statement. 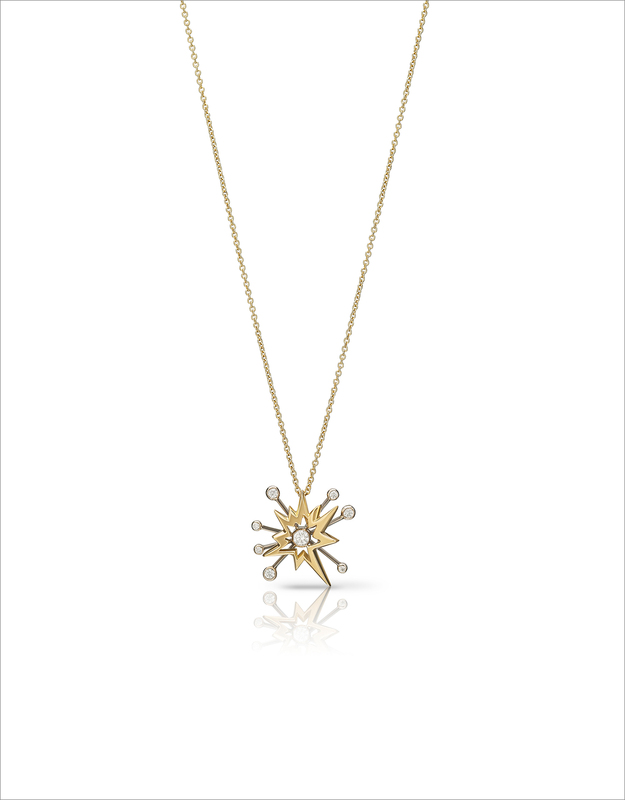 The gold takes on the form of butterfly wings, whilst the diamonds burst from the centre. The piece combines the strength of the gentle and the delicate with the force of an explosion, reminding us all of the power in mixing opposing qualities. You know what they say, 'opposites attract'. 18K yellow and white gold with diamonds. All LeSter products can be customised, you can choose the colour the metal you would like would like to use, the texture, and the stones you would like to incorporate. Please send us a message hello@curated-crowd.com, and we will get in touch as soon as possible.